Welcome to March edition of Inheritance Recipes! I’m very happy to announce that Solange received quite a few marvelous Inheritance Recipes this February and the round-up is now ready on her Pebble Soup website. But in a meantime, I will probably make again some mocha éclairs that remind me of a little Warsaw patisserie “Po Schodkach” that used to be our favourite sweet treats source over the decades. We will share your recipes via our social media channels and include in the round-up (with pictures) at the end of the month. 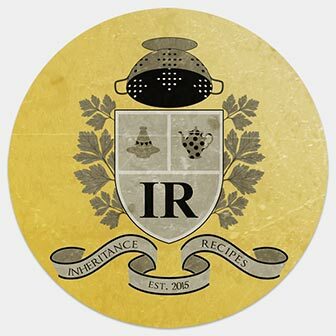 We will also add your recipes to the Inheritance Recipes Pinterest board (that has 3.6 K followers), Inheritance Recipes Facebook group and include your blog’s handle in our Inheritance Recipes list on Twitter that we use to re-tweet on daily basis. Don’t forget to subscribe to them all! Closing date for this linky is the 31st of March 5 pm GMT. Please note that entries that fail to follow “how to enter” instructions won’t be approved, allow 48 hours for the entries to appear in the linky below. Full round-up with pictures will be posted at the end of March.